The bolt/lug pattern information provided is accurate to the best of our knowledge. No warranties or guarantees are expressed or implied as to the accuracy of the information provided in this site. Use of this site constitutes your agreement to these terms. 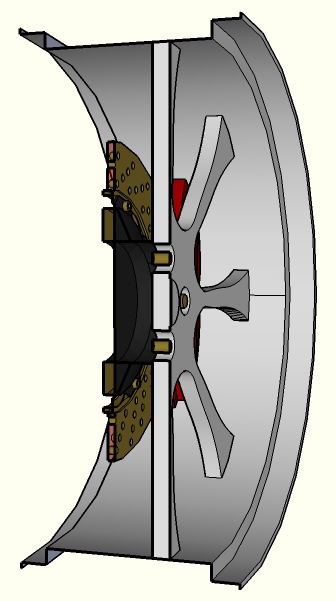 Offset describes the location of the wheels mounting surface in relationship to the center of the rim. 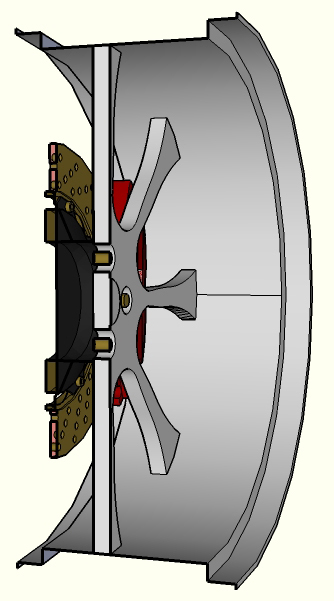 Imagine cutting an 8" wide wheel in half and looking at in section, measure in half way (4" inches in this case) from either front or back of the rim, this is our center of the rim "0". We then measure from that "0" until we meet the mounting plate of the wheel (that number converted to millimeters is our offset). If your mounting plate is more on the street side of "0" you have a positve offset, if your mounting plate is more to the backside of the wheel it's a negative offset. 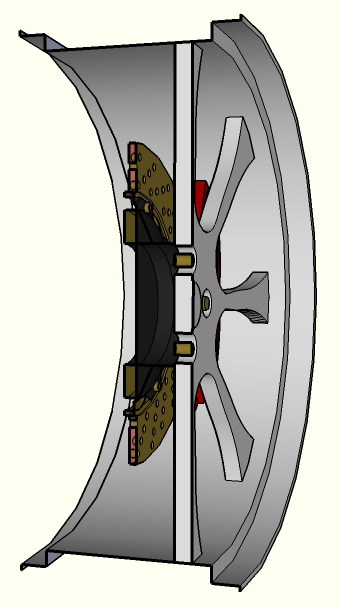 Low offset means the mounting surface for the wheel is in the center of the wheel or very close. A low offset would be presented as a number from 0 to +15. 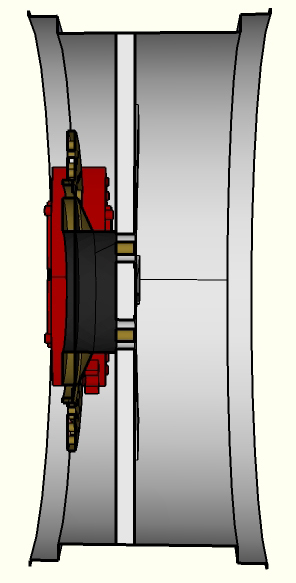 Notice where the braking components are located in relationship to the wheels center. 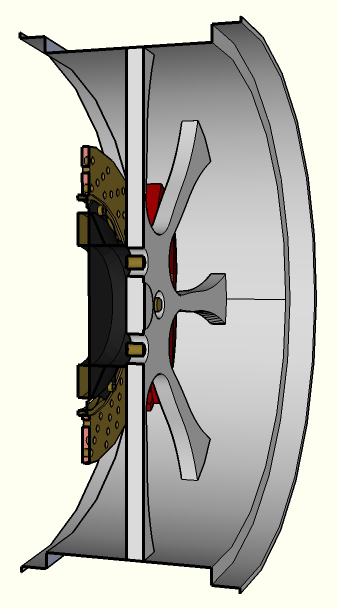 Medium offset means the mounting surface for the wheel is more on the street side of the wheels center. A medium offset would be presented as a number from +16 to +29. This is the offset most vehicles produced today have, the mounting surface for the wheel is located more on the street side of the wheel. A high offset would be presented as a number from +30 to +55. This is where the mounting surface of the wheel is closer to the inside of the wheel well and more of the wheels lip is exposed. This type of offset can put more stress on the steering and suspension components. This offset is used a lot in lowriders and hot rods. Copyright © 2017 FordBoltPattern.com All rights reserved.